A salute to the Wizards of Sound. 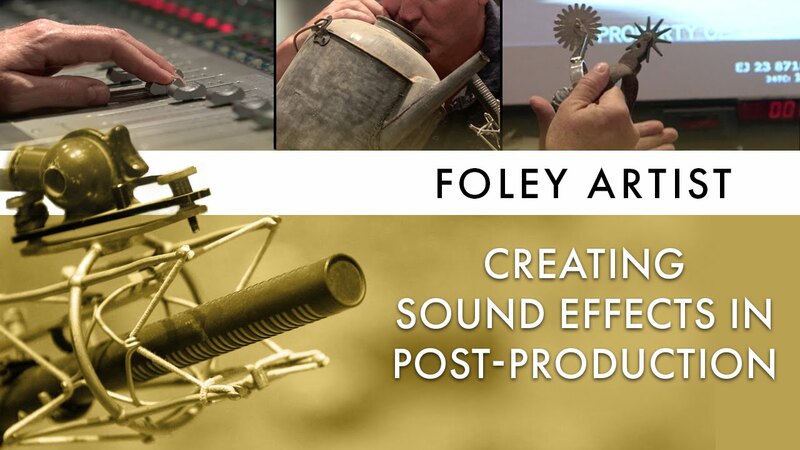 Foley Artists create sounds for movies from the most unexpected sources. We have dealt with the Visual Effects world in our 3 posts CGI Special Effects that really make a difference, More amazing unnoticed SFX that really help, and Visual Special Effects at their Very Best!. Now it’s the turn of the magic of sound. You’ve heard of Foley Artists. What do they do for a living? Well, they create sound effects for movies from the most unexpected sources. From time to time we notice a peculiar title in the final credits of a feature film. One of them, for sure, is Foley Artist or simply Foley. These people are the real magicians of sound. I will always remember, many years ago, a documentary about the guy who created all the special sounds for the original Star Wars, amongst them the lightsaber sound that fed my childhood! That guy is Benjamin “Ben” Burtt, Jr. He did sound effects for Raiders of the Lost Ark, E.T,. The Extraterrestrial, WALL-E… Right below, a 10 minutes documentary about him. He tells about the lightsaber at 6.34… And about the voice of ET at 7.34! An old teacher of mine used to say that sound is the real third dimension of cinema. A big truth indeed. This entry was posted in FILMMAKING, LINKS on filmmaking and tagged Ben Burtt, Benjamin "Ben" Burtt Jr., E.T. The Extraterrestrial, ET, Foley, Foley artists, Raiders of the Lost Ark, SFX, Special Effects, Star Wars, WALL-E. Bookmark the permalink.